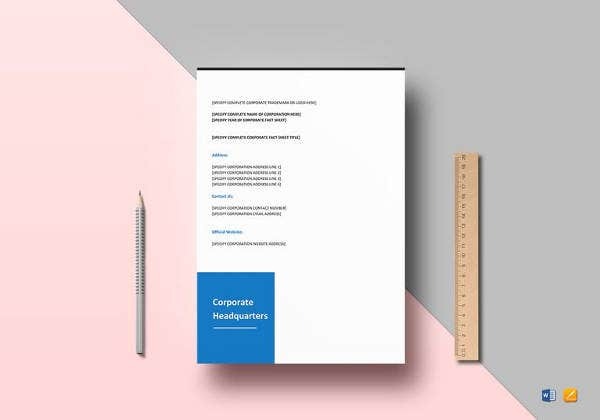 A Fact Sheet Template is meant to extend background information in bits and chunks so that the reader can have a general idea about the stuff. 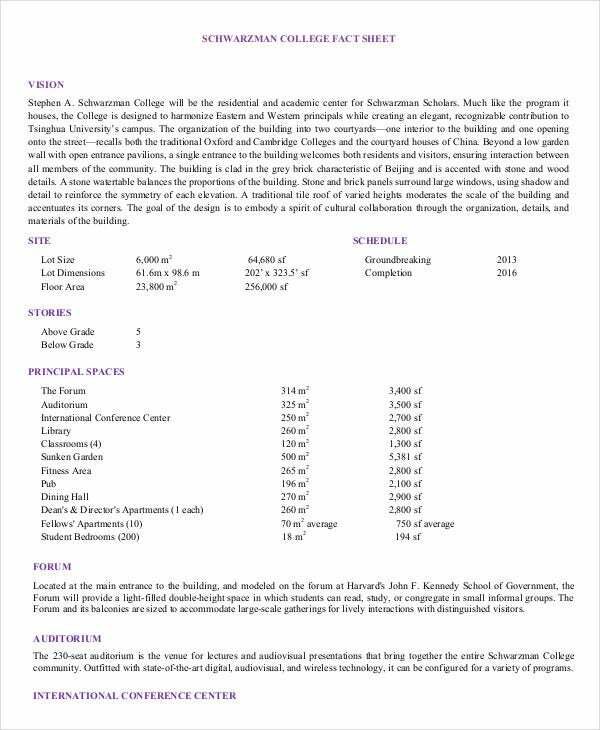 For example, if it’s for a college building, the fact sheet will brief about its vision, foundation and different sections like auditorium, conference, center, library, etc. 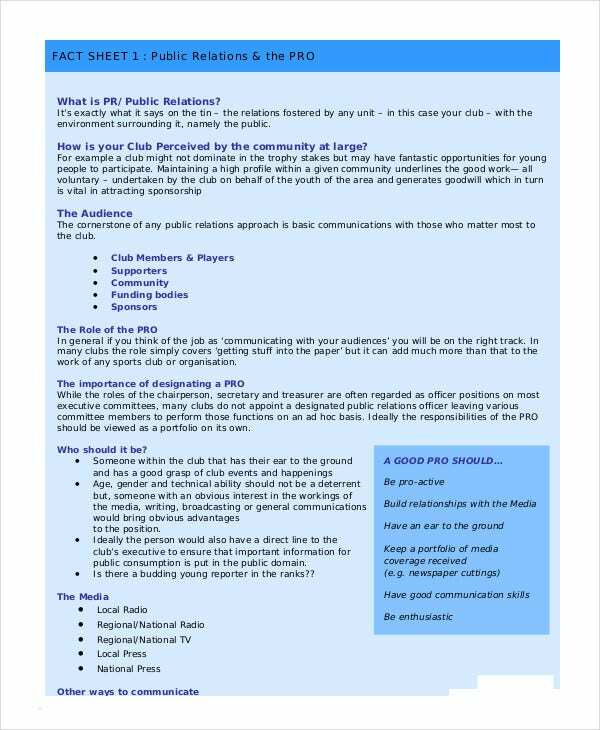 The fact sheet is often given by PRs to journalists when the latter are doing a story on the organization or event and need to follow background information. 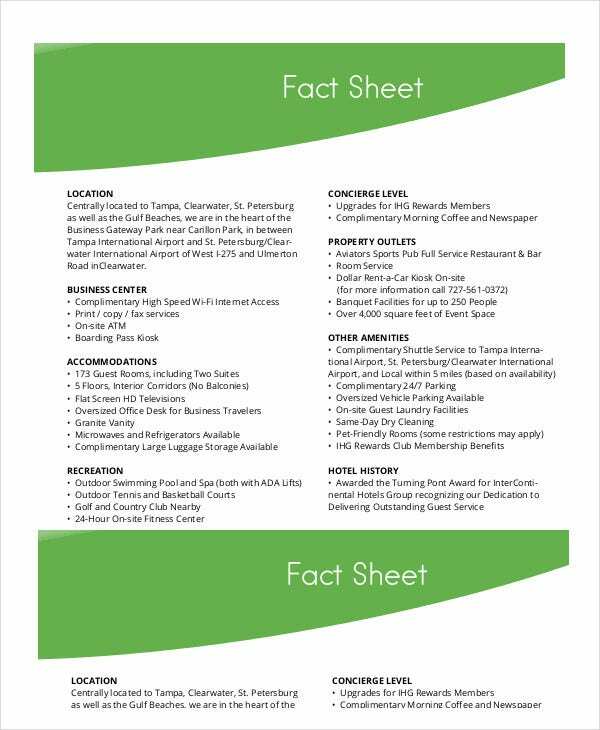 You have an informative hotel fact sheet template here that highlights all the important aspects of your hotel such as location, recreation, accommodation, amenities, property outlets, hotel history, etc. You have an elaborate fact sheet template here which comes with details on all the principal facets of a college building like its vision, site, schedule, and stories. You also have briefs on different sections of the building. 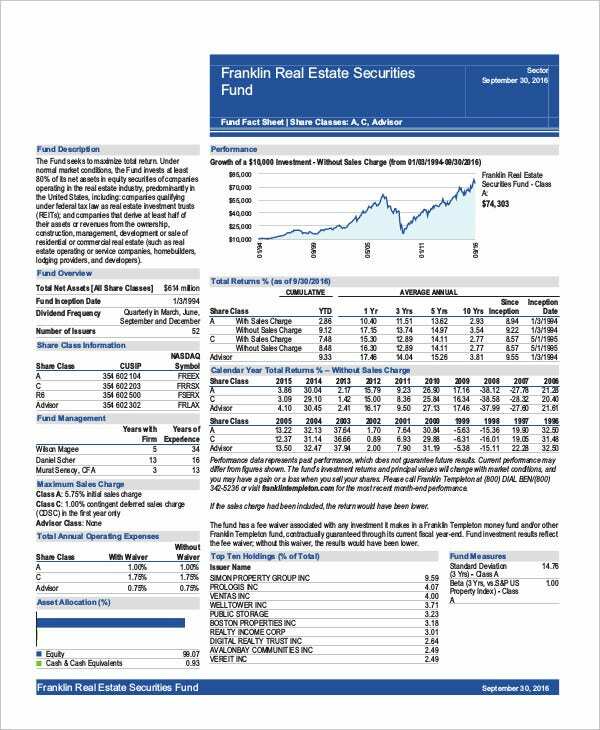 > What to include in your Fact Sheet Template? 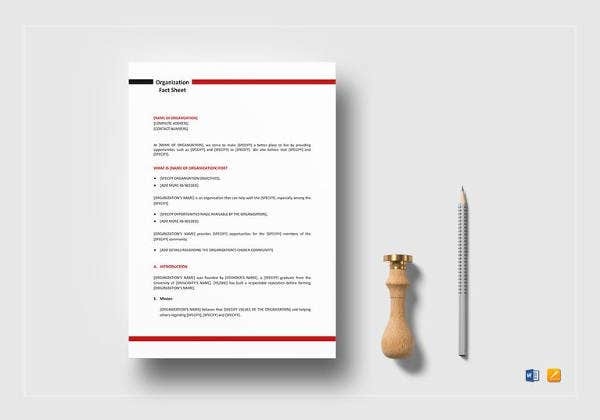 It must be noted here that the fact sheet is meant to impart the key details of the stuff that you are looking to discuss. It could be about an event or a company and so on. 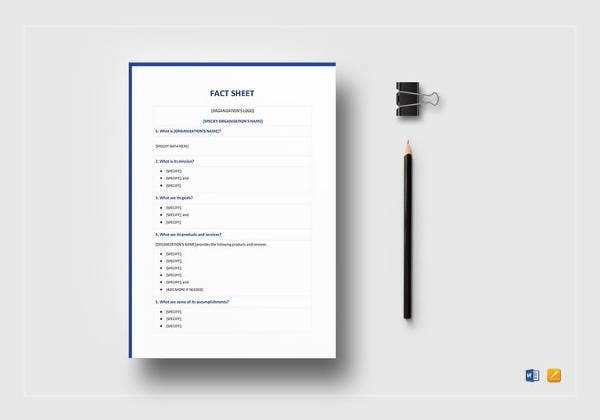 When you are creating a fact Sheet Template, you have to zero on those points that represent each of the main aspects of the stuff and can together extend a compact information. 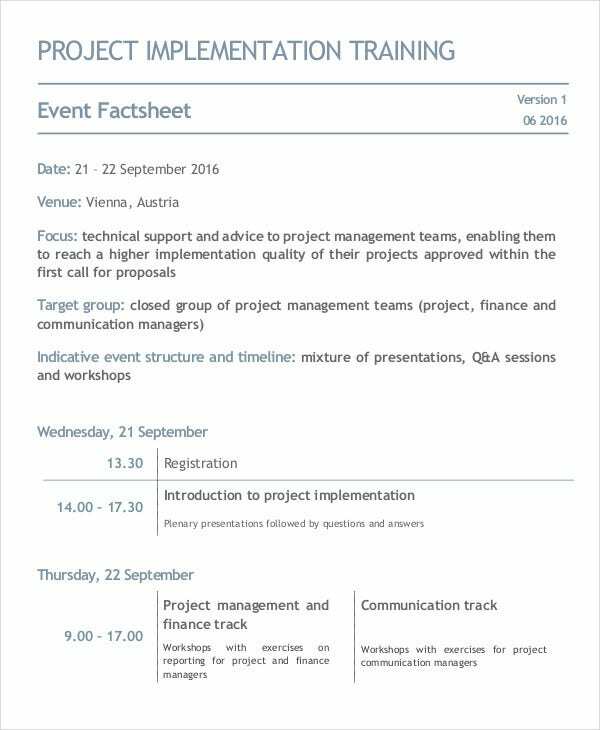 Thus, for example, if the fact sheet is about an event, you have to include the time, venue, theme, target group, and the event schedule. 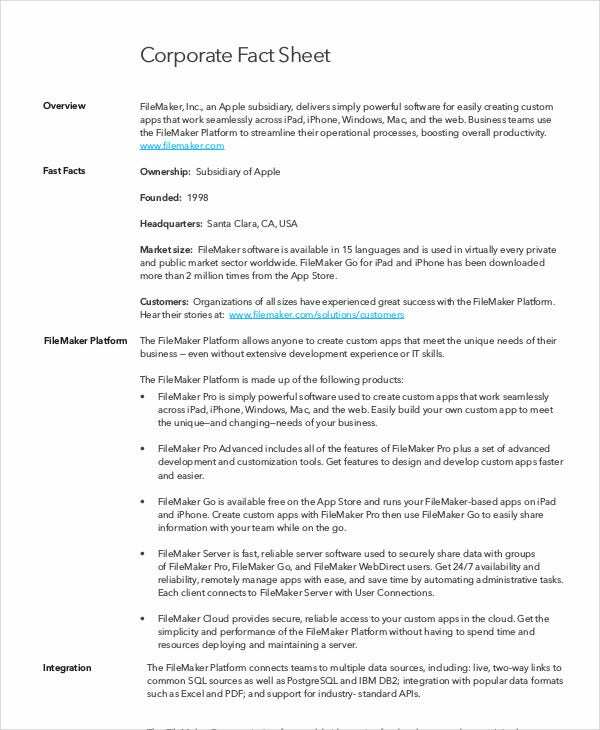 If it’s about a company, the fact sheet would be about the company history, flagship products, key executives, etc. 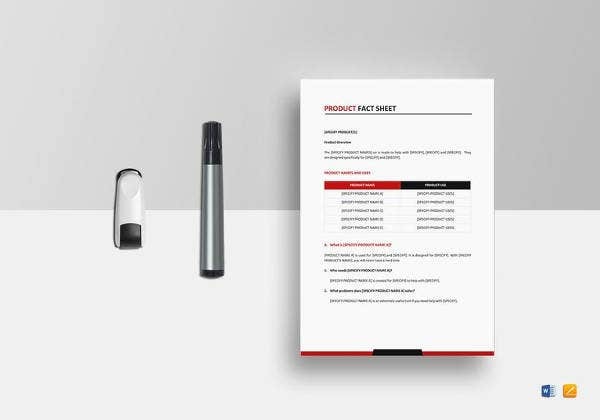 You have a smart event fact sheet template which discusses all the prime features of the event like date, venue, focus, target group, and event structure. It concludes with a schedule of the event. 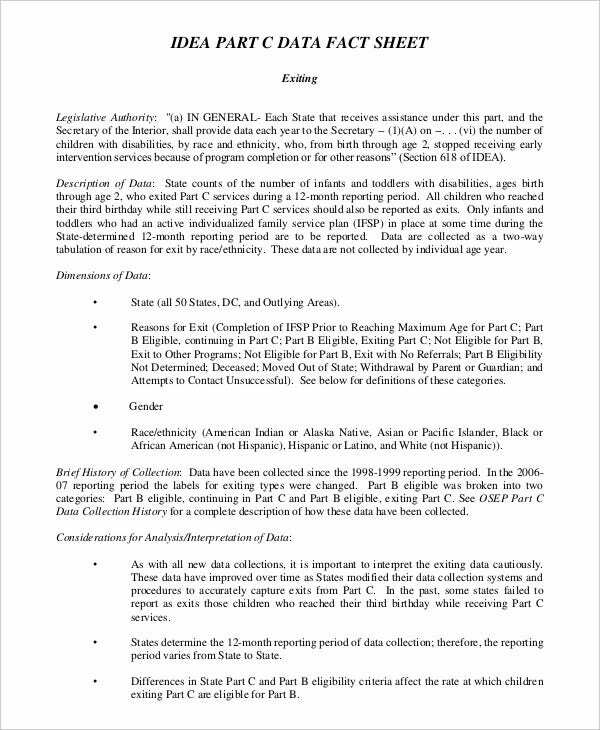 You have a detailed data fact sheet template here which can be used while preparing background information on data collected for a research study. 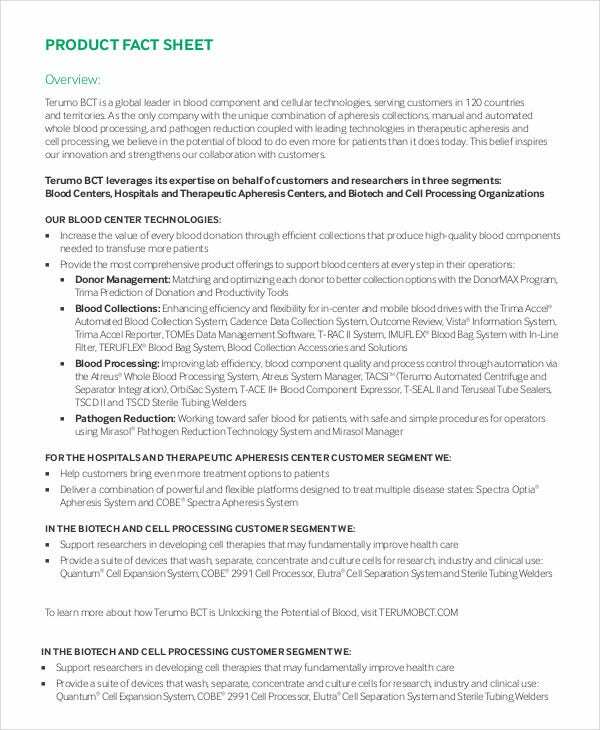 It contains all the important sections like data description, data dimension, history of data collection, etc. You can also see Cover Sheet Templates. 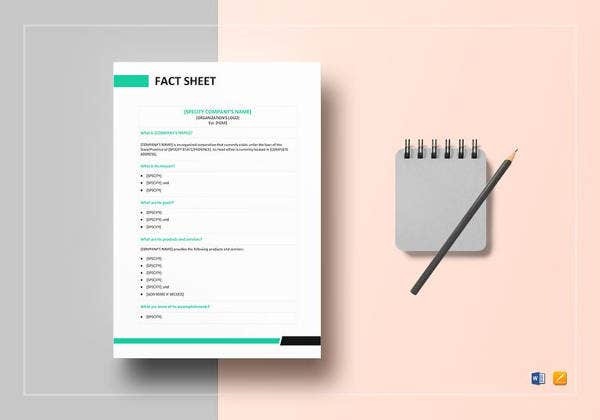 This fact sheet template would be handy when you have to prepare a background summary of the facts and features of public relations including the significance of the role of PRO. 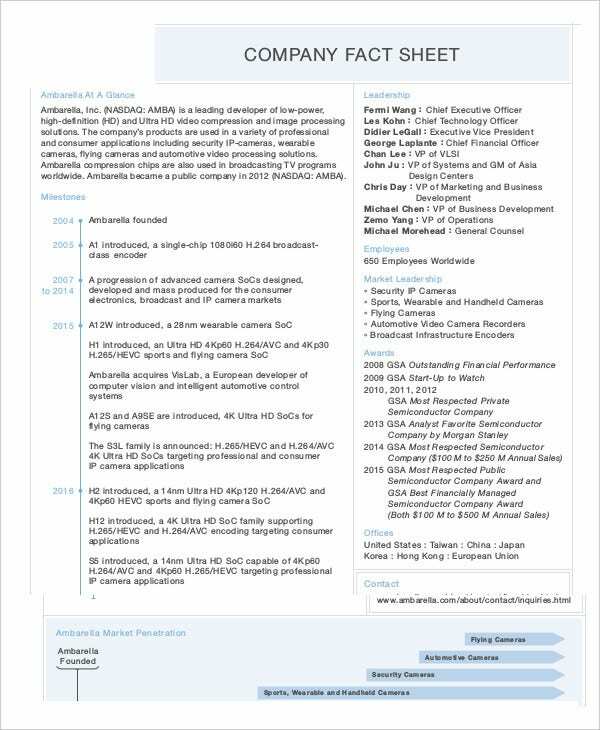 > What are the mistakes to avoid in a Fact Sheet Template? 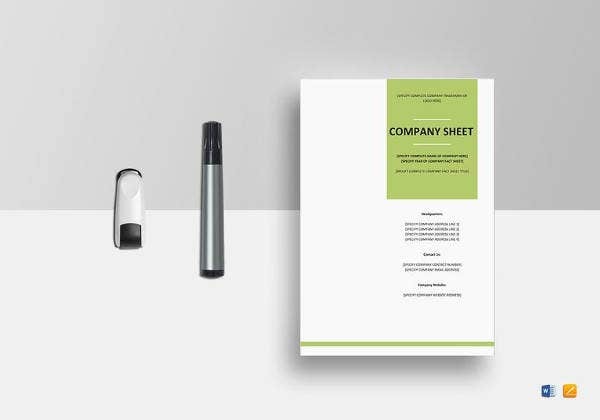 One of the most common mistakes witnessed in fact sheet template is too much of details. Remember, it’s all about educating the audience about your event or firm in brief chunks so that they can have a hang about your thing at a glance. 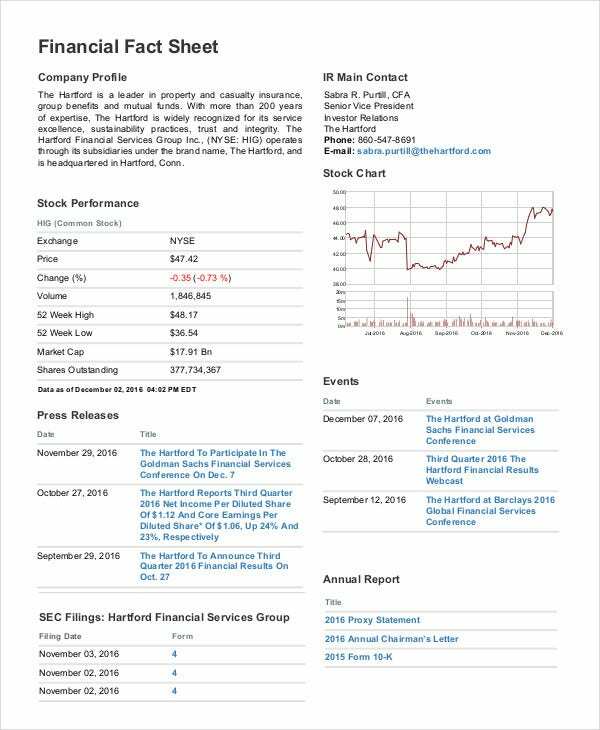 You can also see Balance Sheet Templates. You should only focus on the main aspects of your stuff and it’s better to wrap up a fact sheet within a page. Also, it is wrong to jumble the fact sheet with sources while you are stating the facts. You better cite the sources on footnote so that the facts can be presented in a clear manner. Besides, avoid citing several sources for the same fact. 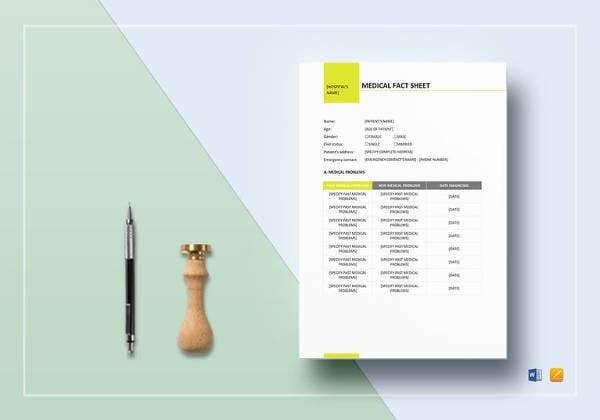 Are you looking for ideas on how to write a fact sheet? 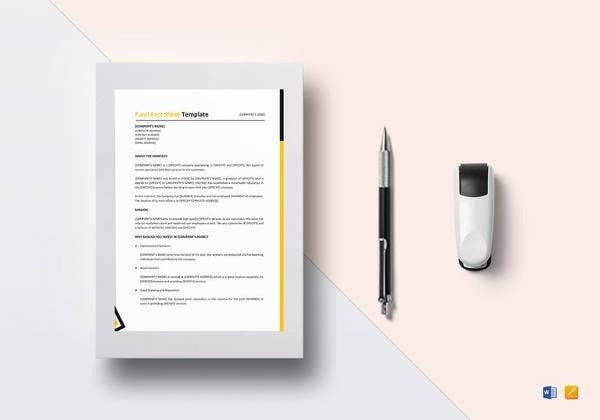 Well, you have to be really concise and strategic and the fact sheet template samples mentioned above would be really helpful for you here. 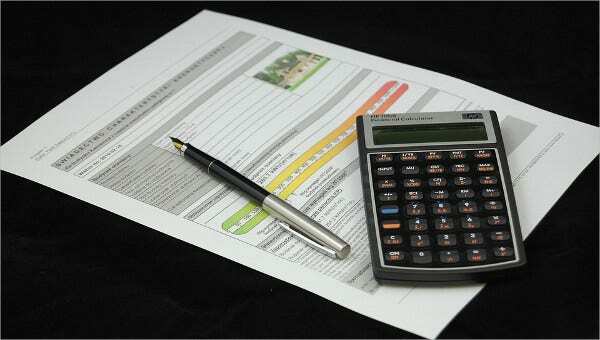 Drafted by experts, they have come up with readymade fact sheets- you simply need to download one and customize it.